FamilyWize announced local community members have saved $67,032 in fiscal year 17 on prescription heart disease, diabetes, and mental health medications through the organizations’ partnership. The results come as United Way and FamilyWize launch a new aggressive, data-driven chapter in its joint community initiatives across the country. Using targeted data reports created by FamilyWize, local United Ways can now better evaluate what assistance their communities need most, rather than trying to use only national-level and state-level reporting. $67,032 in FY17 of savings on prescription medications for 828 individuals; many of these people are from Linn County, but also includes individuals from Benton and Iowa County. 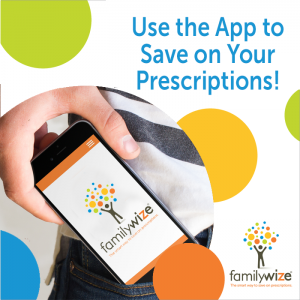 The FamilyWize program is free and saves participants an average of around 40% off of their prescription medications. Accepted at more than 60,000 pharmacies nationwide and covering all FDA-approved prescription medications, the FamilyWize card has no eligibility requirements and is available to anyone. Visit FamilyWize's website, download the mobile app, or print out the card. You can also find it on UWECI's website. Nearly 1,000 United Ways nationwide have worked with FamilyWize to help more than 10 million Americans save more than $1 billion, with an average savings of around 40% since the partnership began.